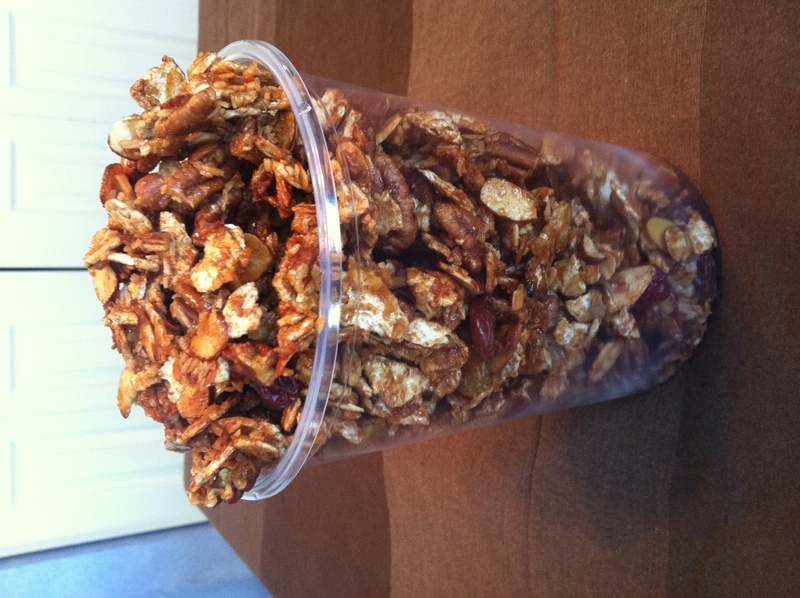 Do Not “Pass-Over” This Granola Recipe!! Because it is approximately 2.5 hours away from Shabbos & Yom Tov, I’ll skip the ramble and get straight to the point. Looking for a Snack? Breakfast? Nosh? 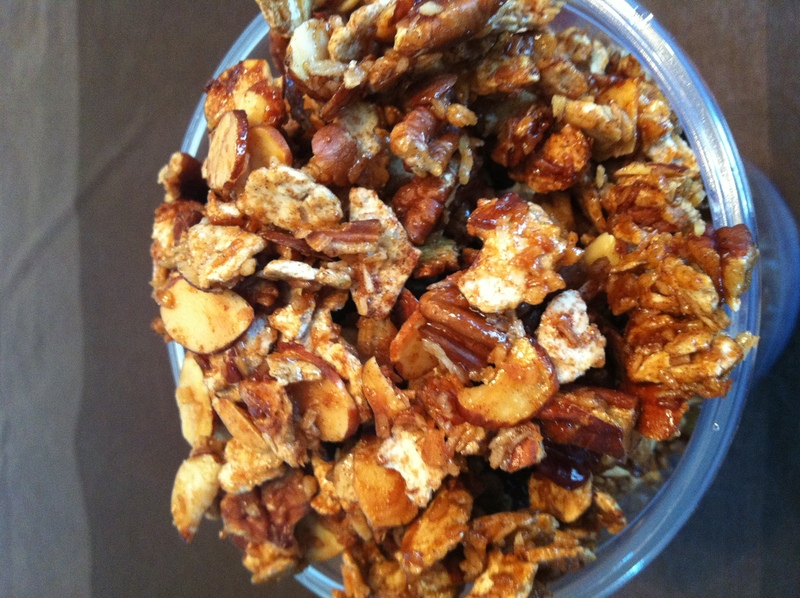 Combine the matzah farfel, nuts, coconut, cinnamon and salt in a large bowl. Stir until well mixed. Combine the honey and brown sugar in a small and microwave for 30 seconds. Whisk until the sugar is dissolved. If using a soild oil (like coconut oil, heat that with the honey and sugar). If using a liquid oil, now whisk it in. Microwave for another 30 seconds and whisk once more. Pour the honey mixture over the farfel mixture and stir until well combined.